MSTONE Build is only weeks away from finishing a £400,000 regeneration project of a brown field site in a conservation area in Liverpool that will make way for an in-keeping Tesco outlet by the U.K.’s leading retailer and a William Hill betting shop. The national construction company is building two units in featured stone with a natural slate roof in the village of West Derby, Liverpool. The leafy village is a conservation area and was mentioned in the 1086 Domesday Book. The site was an unused plot of rubble and overgrown shrubs. Colne-based MSTONE Build is gaining a solid reputation taking on construction works in conservation areas and with listed buildings, always adhering to council planners’ requirements and local residents’ concerns. 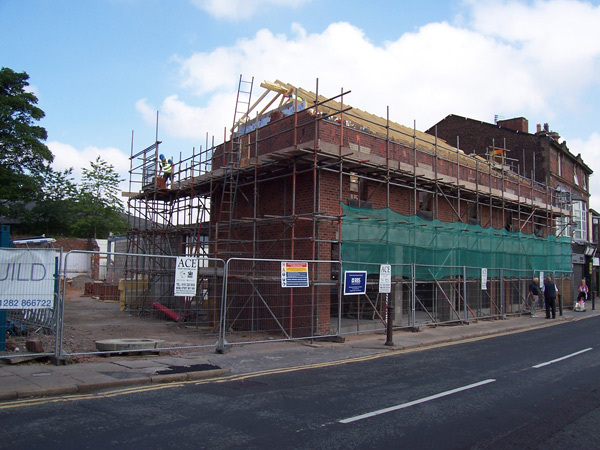 MSTONE Build recently finished the conversion of a rundown pub in Rotherham that was also in a conservation area, turning the former bar into a Tesco Express store.